Fridays, September 7, 14, 21, & 28, 2018 9:30 a.m.–12:30 p.m. 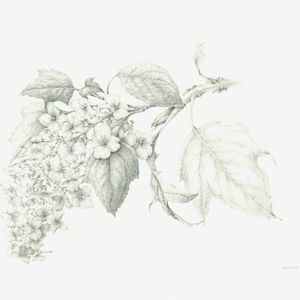 Led by Lee D’Zmura, this introduction to botanical drawing will focus on the development of the skills and techniques necessary to capture the essence of flowers, fruits, pods, and leaves. Form, scale, depth, and perspective will be emphasized. Each student will produce a detailed botanical study in pencil. Lee is an award-winning botanical artist whose experience as a landscape architect enriches her watercolors. She received her certificate in botanical art from the Brookside Gardens School of Botanical Art and Illustration. Her work is in collections throughout the country. She maintains a studio in St. Michaels, MD, where she draws inspiration from her neighbors’ gardens and from the native wildflowers of Maryland’s Eastern Shore.